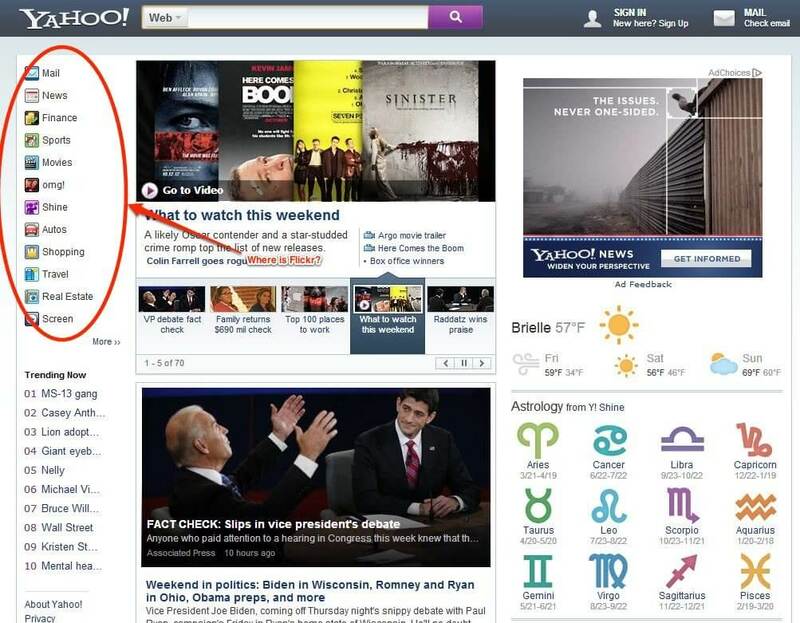 Since, well, they bought HotJobs in 2002, there’s been a job search link of some sort on Yahoo!‘s main navigation. Since 2010, that link went to HotJobs’ acquirer, Monster.com. Go there today and you’ll see a pretty prominent link to “Jobs” with the Monster “m” icon featured on the left. In Mayer’s reshaping of Yahoo!, job search apparently doesn’t make the cut of VIP services. If that’s the case, and they pull a Google Base, Part 2, where job-related searches feature a separate search box for Yahoo!-specific content, then it could actually be good for Monster. If Monster stays hidden and doesn’t get more love in a search overhaul, that’s really, really bad. Yahoo! still gets mad traffic and taking jobs off as a main navigation is going to tank traffic big-time. Monster is able to charge a premium for their services in large part to partnerships like Yahoo! Looks like the love affair is in jeopardy. Can you say, Discount?